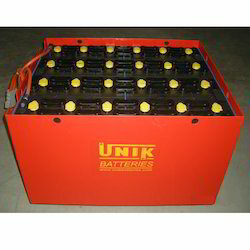 Our range of products include forklift parts - battery unik and unik traction batteries. UNIK forklift batteries have been approved by OE in India and the world over by users who place repeat orders due to the excellent performance and life of the product. The bolt on type cable connector battery shown in this photo is a state of the art product with vent holes fitted with Auto Fill plugs for ease of maintenance. 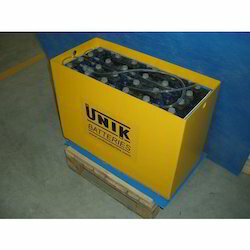 Traction Batteries for Forklift and Material Handling Equipments. Export quality. Approved by OE. Looking for Forklift Parts ?